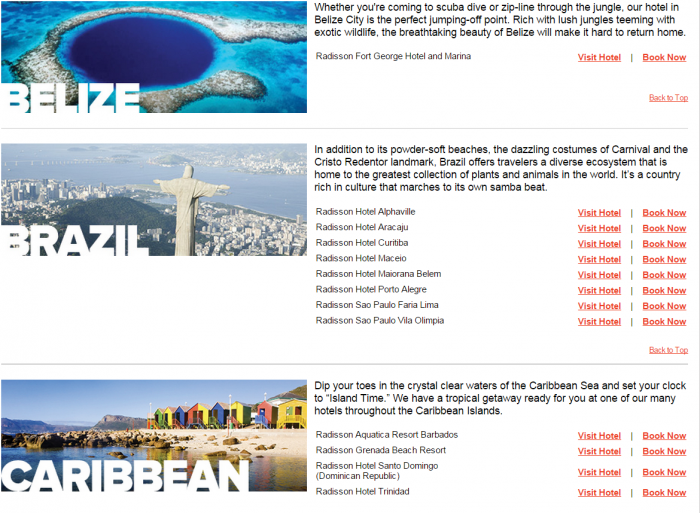 Club Carlson has launched 25% off award night discount for stays at participating properties in Latin America. This discount is valid for stays until December 31, 2015, but must be booked by July 31 using promotional code LATAM25. You can make your booking on Radisson’s website here. 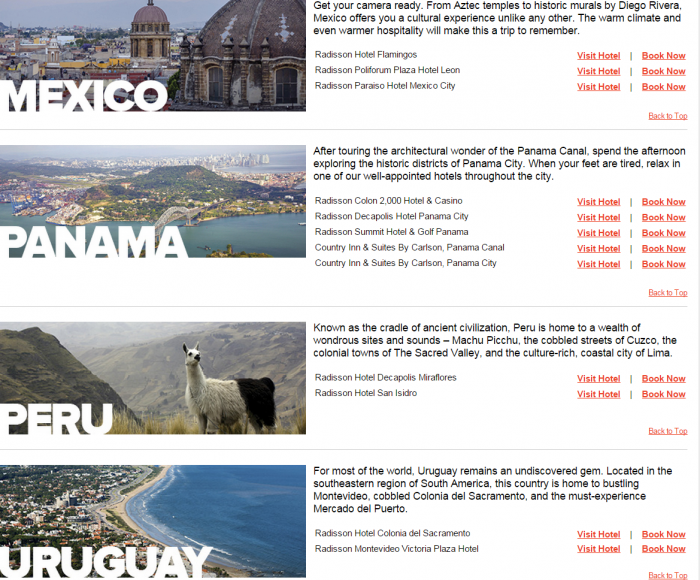 The Get There Quicker Promotion (“Promotion”) is available for Award Nights at Participating Properties in Mexico, the Caribbean, Central America and South America booked using the Promotion code between June 1, 2015 and July 31, 2015 for Award Night stays completed between June 1, 2015 and December 31, 2015 (“Promotional Period”). The Promotion is valid for 25% off the standard Gold Points required for an Award Night. The Promotion is subject to all Club Carlson program terms and conditions. Club Carlson reserves the right to add, modify, or discontinue the Promotion without notice. Void where prohibited by law. By participating in this Promotion, you agree and consent to these terms and conditions and the Club Carlson Terms and Conditions.